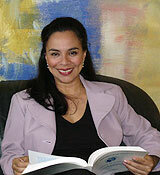 Rufina Lambraño S.: Obtain her degree at the University of Panama, Faculty of Law and Political Sciences. Master in Business Administration, Universidad Santa María La Antigua. She has dealt with corporation matters from Tortola, British Virgin Island and has litigated internationally in USA, has being a consultant for the Pan-American Health Organization and with the University of Montana for the Inter-American Development Bank, and is the Managing Partner for the Immigration Department, specializing in business and working visas. Field of Practice: Immigration, Civil lawsuits & contentious- administrative lawsuits. 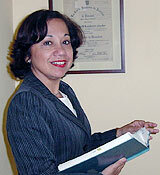 Minerva Bultrón: A lawyer and Authorized Public Accountant, obtain both her degrees at the University of Panama, Faculty of Law and Political Sciences, and Faculty of Accounting. She has held outstanding positions in banks and legal service companies as well as at the Government level serving in the Municipality of Panama in the office of Director of Internal Audit and as General Secretary. 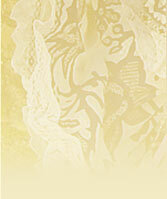 She has also served as Legal and Tax Advisor of several companies, and as independent auditor. 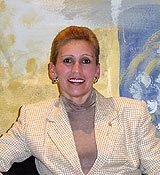 Currently devotes part of her time as expert witness in accounting matters before the civil courts. Field of Practice: Civil, labor and family lawsuits. Tax advisor and cooperative law. Monna Marciacq de la Guardia: A graduate in Law and Political Sciences, in Universidad Santa María La Antigua. She has carried out duties in private practice gaining vast experience in Civil Procedure, Administrative, Business Law, and Migratory Law. Field of Practice: At present, she is fully in charge of judicial proceedings of civil matters regarding malpractice and torts, as well as contracts and administrative law. She manages a portfolio of collections on accounts receivable for our clients, with excellent results and specializes in Immigration. 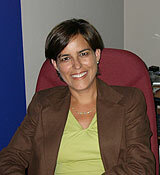 María del Carmen Rivera: A lawyer and also has a degree in Public Administration, both careers from the University of Panama, Faculty of Law and Political Sciences, and the Faculty of Public Administration. She has participated as legal advisor in the studies for the Urban Development Plan for the Metropolitan Areas of the Pacific and the Atlantic. Field of Practice: She handles the formalities required for the registry of medicines and other products related to the human health. She has full knowledge of the Town Planning Law, as she serves as legal advisor for the Government of Panama, with regards to the urban development. Virgilio Luque Cornejo: A lawyer with more than fifteen years of experience in Mineral Resources Environmental Law. He is a doctor in Geological Sciences, 1970, University of Bologna, Italy. University of Panama, LLB. Member of the Mining Development Cooperative. Representative of Panama in the Mining Program UNIPAN - BID (United Nations). Professor of Mineral Resources Law at the University of Panama and in at Universidad Latina de Ciencias y Tecnología (ULACIT).